Hi,(@ Worcesterspotter) it depends how rusty/rotten it is, how rare it is (make sure the car is worth restoring, sometimes/mostly it's better to buy a restored car or one that's in much better condition) and most important how much do you like it yourself or you like yourself working on it. Beware restoring classic cars can be very expensive and if you want to do it yourself it's very time consuming (and still expensive). Speaking of which i found a rusty 60s caddy in the woods near where i live should i try to have it restored? Euh..., since i was a child classic cars have always been my biggest interest, I've grown up between cars, i'm always busy with cars, read a lot of classic car books and magazine's. I'm very much interested in the history of cars and their manufacturers. The inscription on the rear quarter panel say's "Dynaflow" wich is the name for a type of automatic transmission used by Buick from the mid fourties till the mid sixties. @Imola_be How do you know all this stuff?!?! 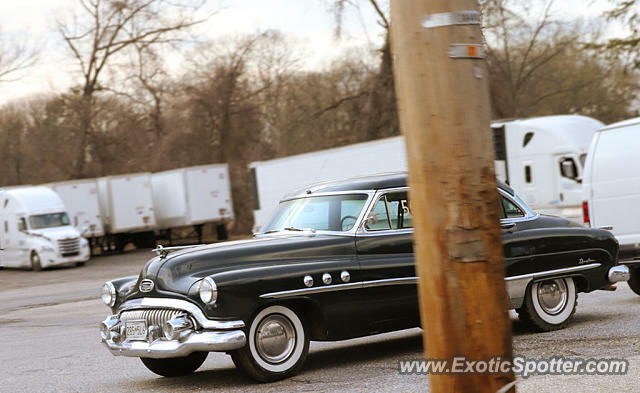 Hello, It's a 1951 Buick Super Riviera sedan. Nice spot. Vintage Caddy? L/F What does ir say on the rear quarter panel tho?